Step 1 In a large saucepan combine the wine, tea, and sugar. Cook and stir over medium-high heat just until sugar is dissolved. Remove from heat and let cool completely. Step 2 In a large pitcher combine half the blackberries and the orange slices. Use a muddler or the handle of a spoon to coarsely mash the fruit. Add the wine mixture. Cover and chill for at least 4 hours or up to 24 hours. Step 3 Serve wine mixture over ice, if desired, and garnish with remaining blackberries and mint leaves. Top each with about ½ cup sparkling water. Tip: Sugar substitute is not recommended. 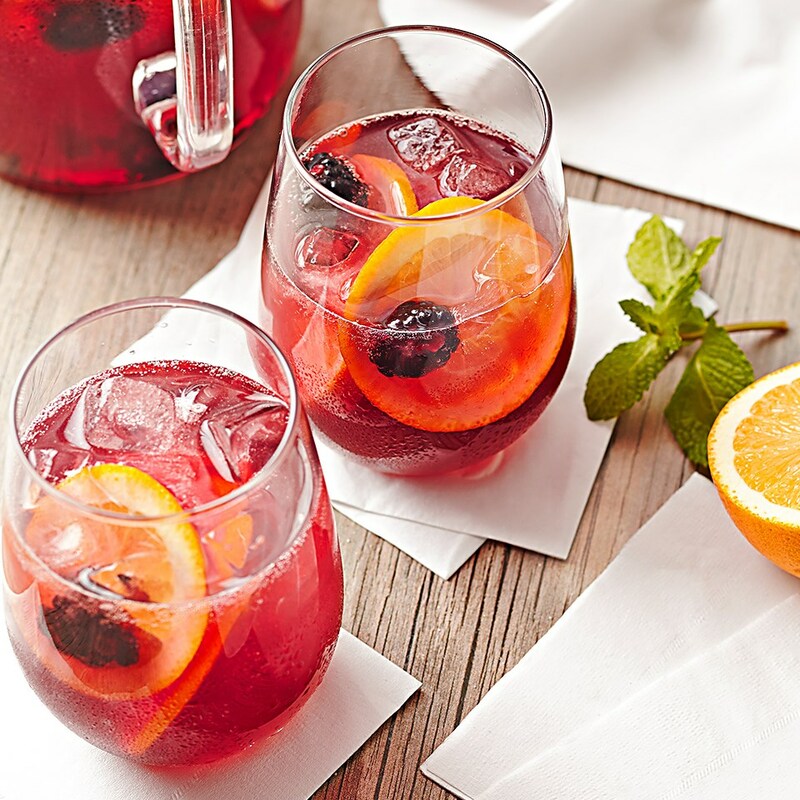 A fruity twist on a summer cocktail, this blackberry tea sangria will be a surefire hit at your next summer BBQ.